Communal entrance hall with security intercom system to apartment, stairs leading to first floor communal landing and door to apartment. Entrance door to entrance hall with door to cloaks cupboard, airing cupboard, Kitchen/Lounge/Diner, Bathroom, Bedrooms one and two. Entrance hall comprising of telephone intercom, thermostat, power points and single panelled radiator. Kitchen/Lounge/Diner; windows to front and rear aspects, comprising of matching eye and base level storage units with brushed aluminium handles, concealed combination boiler, one and a half inset single drainer single drainer sink unit, washing machine and dryer, power points, space and priming for fridge freezer, fan assisted oven with four gas ring hob with brushed aluminium splash backing, double panelled radiators and wood effect laminated flooring. Bathroom with frosted window to rear aspect comprises of white suite with low level WC, pedestal wash hand basin, bath with Aqualisa shower unit with glass shower screen and tiled splash backing, heated towel radiator and wood effect laminated flooring. Bedroom one; window to front aspect, TV point, BT point, power point. Bedroom two; window to front aspect, multiple power points, double panelled radiator. The property benefits from gas central heating and is double glazed throughout. Important information: Price shown at 25% share, alternatively can be purchased from a 25% - 75% shares with rent of 2.75% on the remaining share. 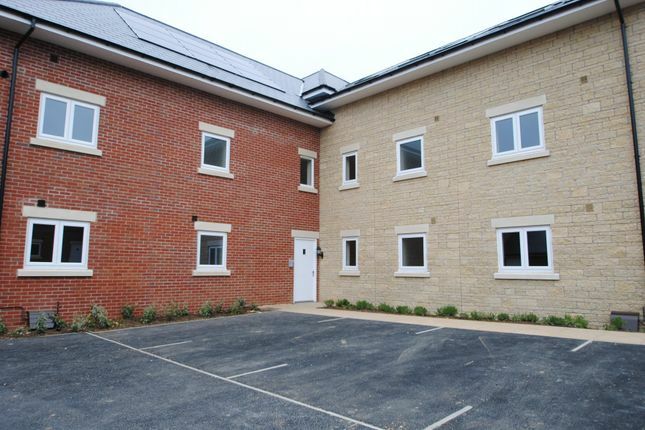 Potential applicants, to qualify for one of these properties, are required to obtain a help to buy south reference number along with a local connection to Bishops Cleeve in order to purchase in this area. Please contact the Cotswold estate agent to apply for your help to buy south reference number. Property descriptions and related information displayed on this page, with the exclusion of Running Costs data, are marketing materials provided by Cotswold Estate Agents, and do not constitute property particulars. Please contact Cotswold Estate Agents for full details and further information. The Running Costs data displayed on this page are provided by PrimeLocation to give an indication of potential running costs based on various data sources. PrimeLocation does not warrant or accept any responsibility for the accuracy or completeness of the property descriptions, related information or Running Costs data provided here.